One thing I’ve noticed after running ReviewMeta for the last two years is the sheer amount of outrage that some shoppers feel over fake reviews. Not only at the sellers who fabricate them, but also the platforms that host them – in this case, Amazon itself. It’s ironic: I’ve noticed a lot of anti-Amazon sentiment building in the people who I interact with, but they all admit to continued use of Amazon due to the overwhelming shopping convenience. Myself included. It’s almost like there’s no alternative. If we are going to continue shopping on Amazon, how can we help shape it for the better? Amazon is a massive, for-profit, publicly traded company. Last time I checked, they employ over a half-million humans worldwide. It’s not going to be as simple as sending Mr. Bezos a strongly-worded letter. This is probably your strongest tool in the fight against low-quality products and fake reviews. Returning a product sends a financial message to both the seller and to Amazon that you will not tolerate being swindled. Unfortunately, Amazon doesn’t give you the option to return something because you think it has fake reviews. Instead, I’ve selected either “Inaccurate website description” or “Item defective or doesn’t work” for products I was disappointed by. Even if it only cost a few dollars, it’s worth going through the trouble to return a defective product to send a strong message to Amazon. 2. Leave an honest review. Without getting too emotional or flying off the handle, leave an honest review of every product you were disappointed by. Don’t name-call, use vulgarity or otherwise violate the community guidelines – you don’t want your review to get removed for a silly reason. 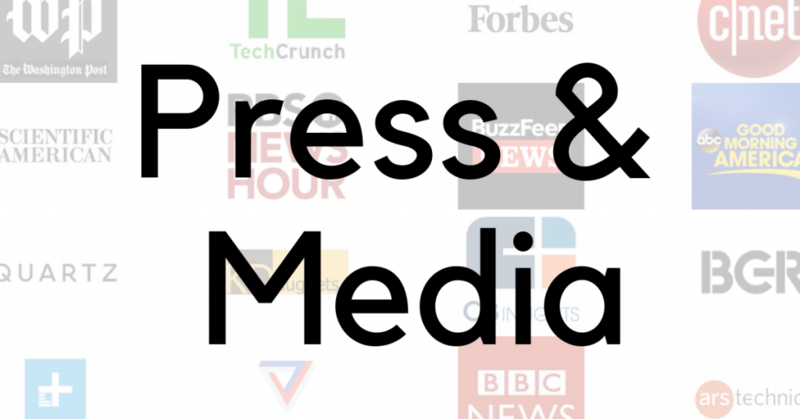 Even if yours is the only negative review out of thousands of fake positive reviews, there’s a chance your honest feedback will be seen by future shoppers who can avoid making the same mistake as you. Also, if everyone who is disappointed leaves a negative review, you’ll be part of a bigger force that’s sure to help educate future shoppers. Just below the product summary, you’ll find a link on every product that says “Report Incorrect Product Information”. Again, you won’t have an option to directly select “there are fake reviews”, but at least you can send a message to Amazon and let them know there’s something up with the product. Just remember to fill in the optional comments box with your grievances about the product or the reviews. 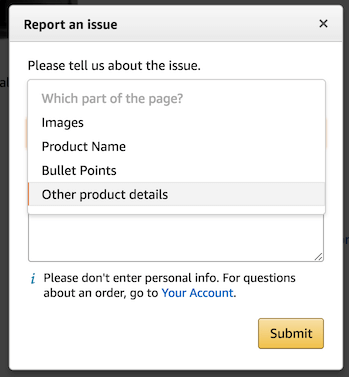 It seems that Amazon has removed the “unhelpful” button, so clicking the “Report abuse” link is all you have left. 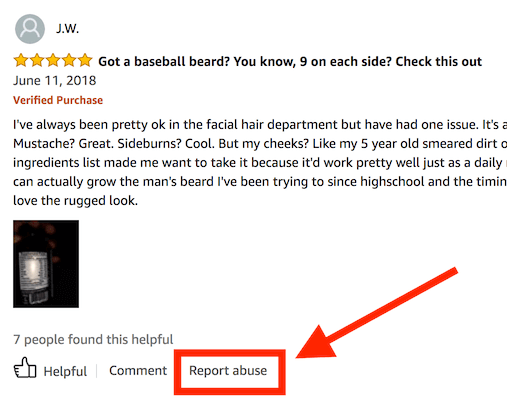 It also seems that Amazon has removed the “comments” area when reporting a review. So all you can do is click the “Report” button to confirm you want to report the review. It may seem futile, but it helps get suspicious reviews on Amazon’s radar for further investigation. As a last resort, you can always email the [email protected] email address – according to Amazon’s Community Guidelines, this is an option for anyone wanting to report anything fishy at all going on with Amazon’s listings or product reviews. This is a great option if you notice review hijacking happening on something you are considering buying. You may never get a response, but at least you’re tipping off someone at Amazon to look into your complaints further and take action if necessary. You may not see immediate results but every vote counts. Don’t be discouraged if Amazon does not take immediate action. Even if there’s just a 1% chance of Amazon removing a problematic review or product every time you report it, you’re still sending a message. It’s just like voting. Your vote may not tip the election, but when everyone comes out to vote, that’s how society makes changes. Yep. I deeply regret that now, when I feel that the US needs honest buyers & honest voters more than ever, I suddenly have much less ability to protest like this. Unexpectedly, I’m caring for two relatives & have lost all income; I *HAVE* to buy the cheapest products I can find, & frequently don’t have the energy to either research purchases or write reviews as I used to do. Just one more way in which individuals can’t be the “rational consumers” that capitalism depends on to work… when individuals can even get a level playing field, of course, which ain’t often. Great website. Found out about this through the NPR podcast. Was planning to write an article about fake reviews as well (but on Facebook) and it is heartening to know there are like-minded individuals out there. It seems like endeavours like these are not too popular not profitable though, judging from the amount of posts, which is quite saddening. Great, well-considered and valuable counsel. 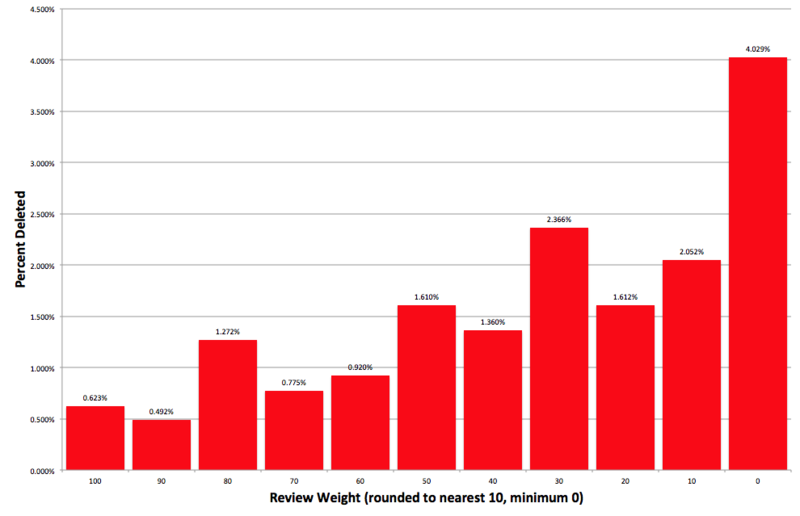 ReviewMeta continues to deliver brilliantly in its mission. Never mind the convenience. I can do without. I won’t order from Amazon until they offer a shipping option of adding a five-minute break for the unlucky cyborg who has to work for me under Jeff the psycho.